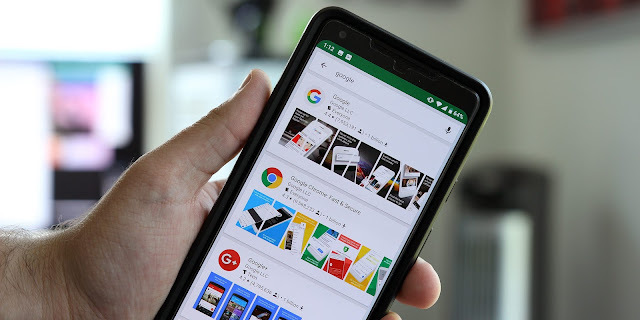 Google is constantly testing out new tweaks to its interface in various applications, and today a new Play Store search UI is rolling out to some users. Seemingly rolling out to a handful of users, myself included, over the past 24 hours or so, this new search UI adopts a card-based look. Results are split up into their own large cards, showing the app’s icon, ratings, developer information, and even how many times it’s been downloaded. 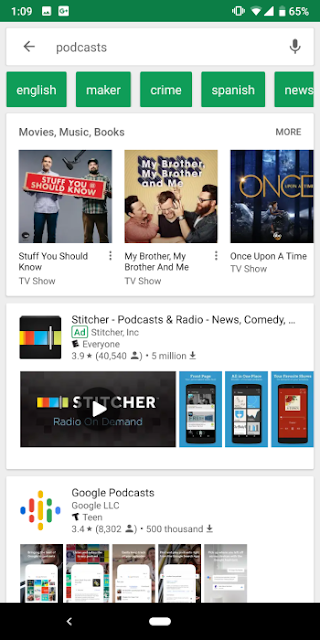 In addition to all of that, the card even shows screenshot thumbnails from the app listing directly in search. This new interface shows a ton of extra information compared to what was previously available, which is nice, but it does have some downsides. The biggest issue here for me personally is the extra space that information takes up. A typical search now only shows 3-4 results before you have to scroll, where the previous UI could show 6-7. The overflow menu which acted as an install shortcut has also been removed. Now, users need to tap through to the full listing to install an app. As usual with these limited rollouts, Google may or may not decide to roll it out on a wider basis.